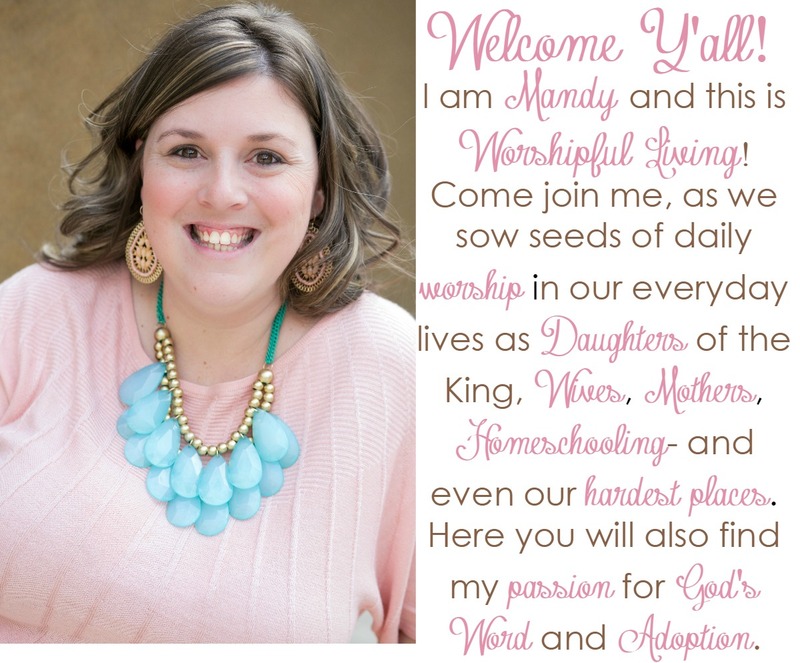 Worshipful Living was started and run by my daughter, Mandy Kelly. In March of 2017 there was a housefire and Jesus called our Mandy, her husband Scott and two of their four children, Lizzie and Judah home. It is my hope to keep this blog going for her. It was a ministry that she loved. Her words about this site are below and I have chosen to leave them up as it was important to her. Thank you for stopping by, we are glad you are here. Hey Y’all! 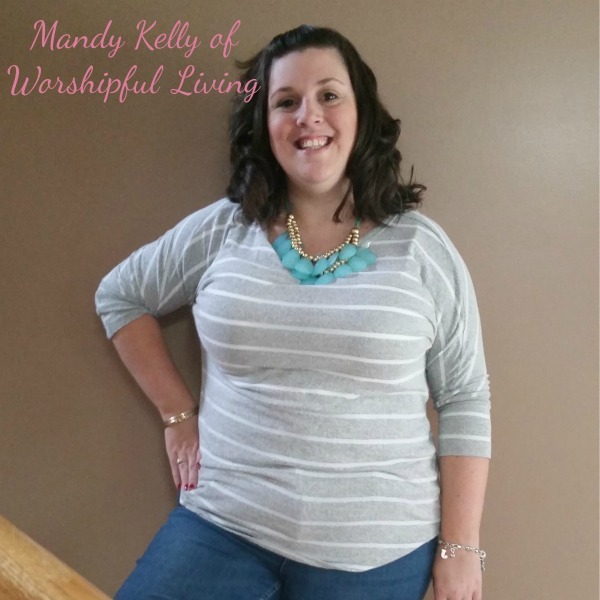 I am Mandy, the founder and dream receiver of Worshipful Living! I am so glad that you are here! I can’t wait to share this passion that God has written on my heart. A little bit about me first. I grew up in what many would consider your “typical christian home”. 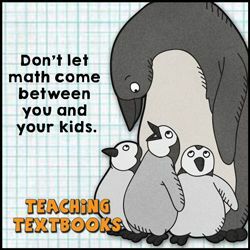 I had a mom, a dad, and two siblings. Yet, what people didn’t always know was that I had struggled with feelings of being unwanted. I didn’t know my biological father growing up, and although I had a Daddy who chose to love me unconditionally, I still struggled. However, at the age of thirteen, I surrendered my life to the Lord Jesus Christ, accepting God as my Abba Father. From there, I never looked back. I forgave the man who had never known how to love me- and moved forward. 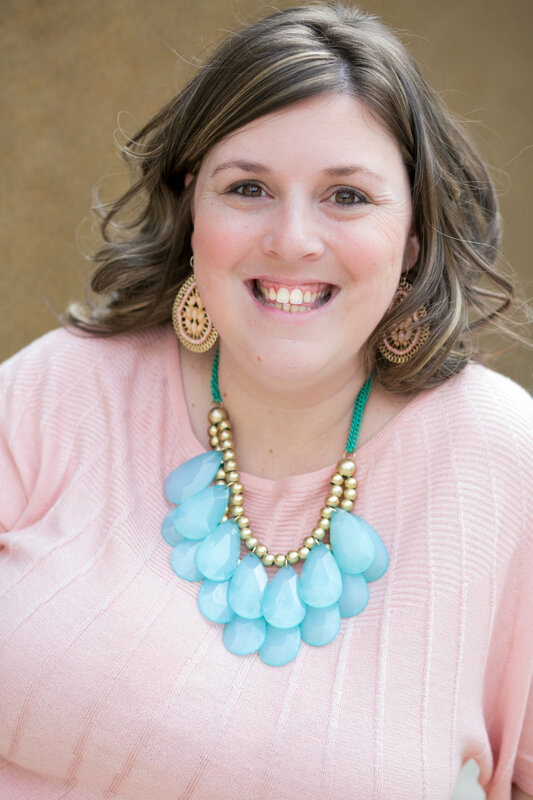 I have had struggles along the way – and you can read more about those over at my testimony page– I truly feel like I have lived a life of grace. I have had real struggles. I know what it is like to be single and waiting- I didn’t get married until almost 30 – and I watched everyone around me speed past me. Before I married, I was diagnosed with Infertility– and lived in silence for almost 5 years before I shared that struggle. I married a widow – and became a bonus mom to three kids. I have loved, and lost. I have been in ministry and been burned. Yet the one thing that got me through so many of my struggles was Worship. Not just the corporate worship on Sunday – but real, authentic worship. I learned that worship was more than the songs that you sang in church – but worship was a way of life. Join me in the video below as I share with you what REAL worship is – and where Worshipful Living came from. 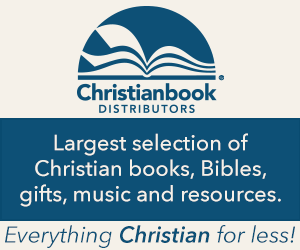 God is able to do exceedingly, abundantly more than we can ask or think (Ephesians 3:20). I am a testimony of this verses- and of God’s grace and goodness. He is far from finished with me yet. 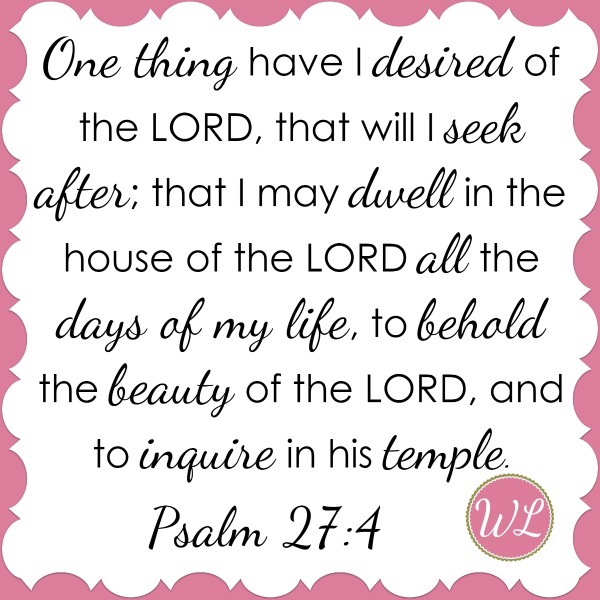 However, I am choosing to live a life of worship – where God is in control, and gets the glory, for every aspect of my life. Here at Worshipful Living, you will not only find my story of worship- but the stories of some sweet women who have a similar passion. Although my voice might be the loudest here, their voices are sweet, and their ppersonalitiesa fit that was so needed. Each of them live very different lives of worship – because we were all called to different things. I hope you will find a writer here that you connect with. Sweet sisters, I am not perfect – but I am forgiven. It is shown throughout scripture that those who know that they have been saved from much they are thankful much. It is all about learning that I must decrease, and He must increase. That is what worship is about. 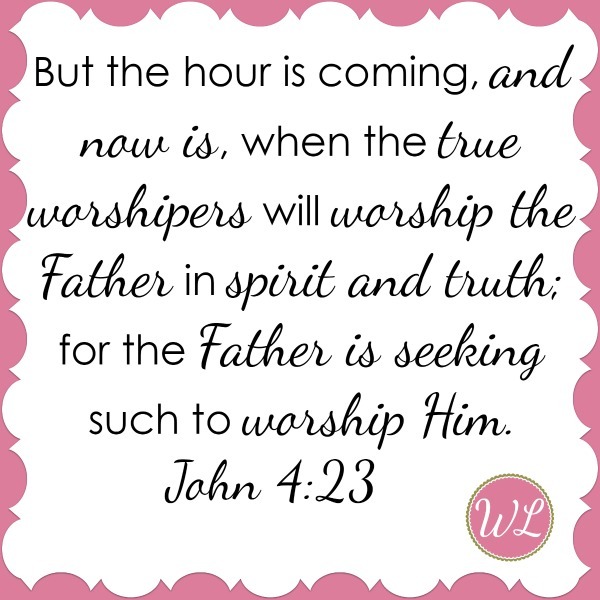 God is seeking worshipers – and I wan to bring Him that worship in everything – EVERY. THING. I do. Won’t you join me?